In the Pacific Northwest of 1928, Julian Powell lives a life that for most appears to be one of privilege—a perfect life in a huge house, servants, and carefully groomed grounds. No matter how idyllic it might seem, it has become a prison for Julian. His days are filled with the endless monotony of family gatherings, gossip, and brown suits. Overshadowing him is a life-long illness. 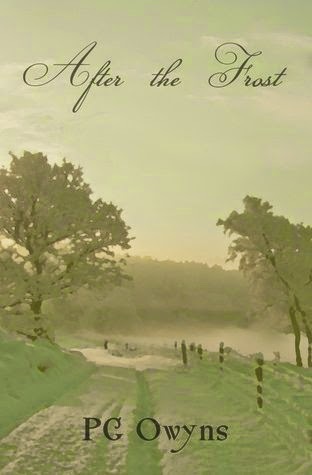 Julian finds his only freedom from his overbearing family in secretly writing books celebrating the beauty of nature. Occasionally he escapes to the local bookstore, with the hope of seeing the town’s eccentric, William Neill. Julian’s life changes forever when he makes the boldest decision of his life. He leaves to take care of an ailing childhood friend, moving to a place that will take him away from all he has ever known to an unexpected new life. He becomes part of a family of his own choosing, and it brings him closer to the man that he’s been secretly falling for—a man who has a prison of his own to escape. As William and Julian struggle to overcome their pasts, will their secrets bring them together or drive them apart?